Link to my diigo page: https://www.diigo.com/user/teacherleen Diigo will help me be more productive because I can access my bookmarks anywhere, on any device. 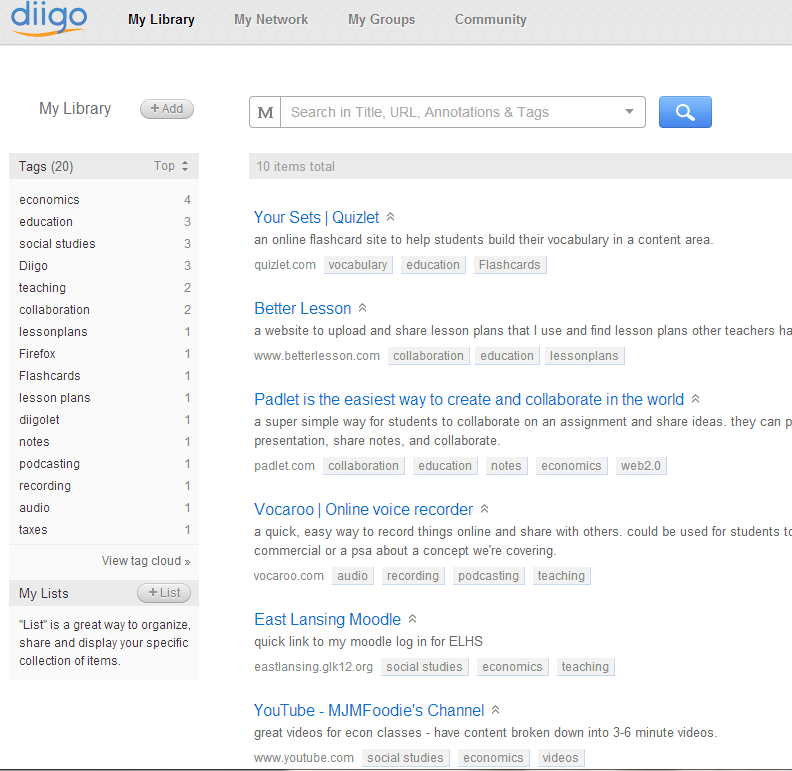 If I’m planning at home and need to find the link at school, it will be in diigo. So helpful! I used to use Delicious, but I hadn’t used it in years so I think my account was terminated. 😦 But as I lesson plan and find new tools, I will add them to diigo and I will use their “Lists” feature so that I can organize the sites I find even better. It definitely beats emailing myself links to sites to use in the future because every site I add is in one place, is organized into a list, and is tagged for easy searching. Another diigo feature I discovered is that when I highlight text on a webpage, it gives me the option to annotate it and save my note for when I visit the page again. That is awesome! I can see having students use that feature to do research and using it myself to leave “sticky notes” on pages to remind me what I use/need on a particular page. I have used Dropbox for several years now and I don’t think I could go back to uploading documents to a flashdrive or my school’s teacher drive. It’s so convenient to be able to access my files anywhere at anytime, and to know that when I save something to Dropbox I have the most up-to-date version. I remember accidentally sending my flashdrive through the washing machine years ago and feeling panicked that I lost all of my work (even though it was on my computer, I wasn’t sure if all the changes I had made to files had been updated in both places.) Thankfully it still worked, but with Dropbox, I don’t need to carry that with me. I also don’t need to email myself documents to use at work or home since they’re all in one place. 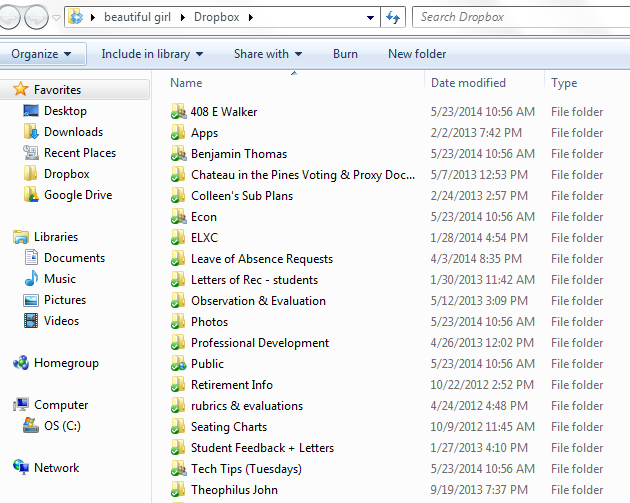 I love Dropbox and will probably never go back!